7.3 oz. jar. Made in USA. Soy blend wax with glass lidded jar. 2 3/4" diameter x 3 1/2" high. 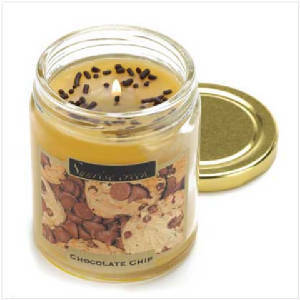 Brighten your kitchen with the fresh-baked fragrance of a classic teatime treat! 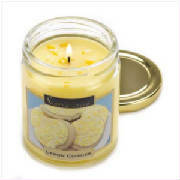 Long-lasting jar candle tickles your tummy with a sugary lemon cookie aroma. Simply delightful! Begin the day with the luscious scent of home baked blueberry muffins. . . the aroma is oh-so-tempting! 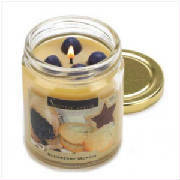 Long-burning candle is playfully topped with colorful faux blueberries. 7. 3 oz. jar. Made in the U.S.A. Soy blend wax with glass lidded jar. 2 3/4" diameter x 3 1/2" high.